The past two winters, the Players Association has been angered by the lack of spending in free agency, while the league has been raking in more and more money. On the other side, the league and the owners are still looking for ways to move the game along while making it more entertaining for casual fans. The combination of these grievances has sparked these discussions of rule changes, despite the sides remaining in the middle of a collective bargaining agreement. And they're fairly massive. Many of these rule changes, such as the universal DH and the three-batter minimum for pitchers, are to promote offense, while the single trade deadline and expansion of rosters should help to increase fairness within the game--picking up additional pieces just before the home stretch in August, like Justin Verlander, will no longer be tolerated. Additionally, perhaps there's now more incentive to sign marginal free agents over the winter so as not to leave that depth 'til the end of the summer. The universal DH makes a lot of sense here, as the National League is currently at a massive disadvantage when it comes to luring older free agent hitters that can still swing it but can no longer play the field. The 20-second pitch clock also seems like it is imminent as it has already been implemented in college and minor league baseball. There's also a proposed change that appears to be in direct response to Kyler Murray's situation. 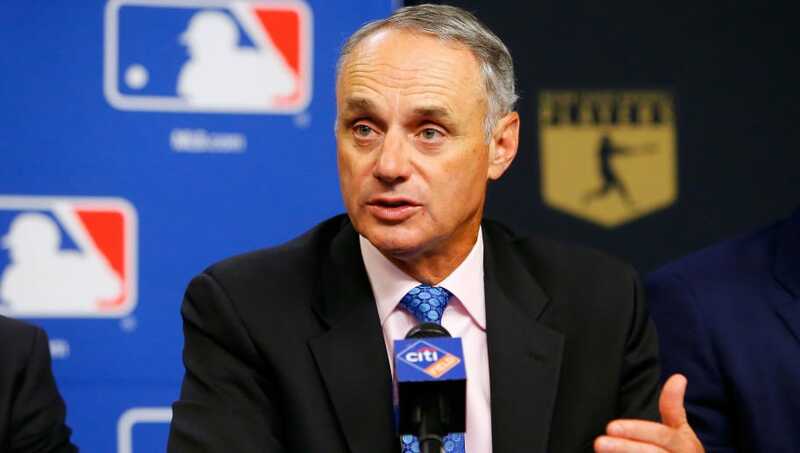 The rule would be to allow teams to sign draft picks to major league deals. This change could entice two-sport athletes to stick with baseball. While it's unlikely that we will see some of these new rules get put into play this year, there's a strong chance that by 2020 we could see a whole new game.